Ebook Conversion Australia—The Way to Go! When ebooks first came on the scene, everyone wondered if they were a fad that would quickly fade. While the publishing business is ever-changing, it looks like ebooks will be a part of it for a while to come. Have you considered having your manuscript converted into an ebook? Maybe you don’t think there’s any point. Believe me, there is. Ebook conversion is highly popular, especially when it comes to fiction. But even non-fiction manuscripts can sell well as ebooks, mainly because of the convenience of them (you can carry them around in your phone instead of lugging around a big paperback under your arm) but also because they’re usually much cheaper than a printed book, making them more affordable. So it’s a good idea to consider ebook conversion for your manuscript. Ah, you might say, but my book’s not just a run-of-the-mill novel. It’s a complex book with graphs and tables and images and pull quotes and a hundred other things. It makes no difference to us. Here at Australian Ebook Publisher, we’ve designed ebooks with exactly those kinds of elements in them. 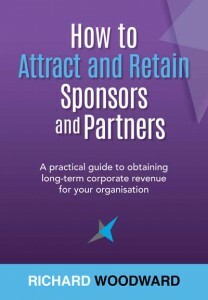 Take Richard Woodward’s book, How to Attract and Retain Partners and Sponsors. We designed it both for print and ebook, with its tables, break-out boxes and pull quotes going in both versions. It was a complex job, certainly, but not something we couldn’t handle. We also helped Richard with the editing of his book and offered publishing consultation as well, so we could get it just right. Or perhaps you would like to add an audio or video file to your ebook. That’s what we call an enhanced ebook and they are growing in popularity. We have worked on a number of ebooks with these kinds of embedded files. For example, Karen Faulkner’s ebook, Baby Massage, includes an instructional video to help demonstrate its techniques. 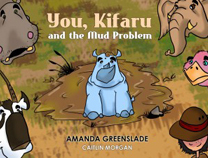 Amanda Greenslade’s children’s book, You, Kifaru and the Mud Problem, allows the children reading it to insert their own name so they can become the hero of the story. These kinds of elements can give a unique twist in a book that will make it stand out in its genre, and we can help you do it. So if you’ve got a book you’d like to see converted into an ebook but you think it’s too hard, send it to us. We’ll do our best to make it work for you.